After setting up the Raspberry Pi, you’ll likely need to transfer some files to it. Since the Pi already has an SSH server, you can use SFTP to transfer files to your user’s home directory. 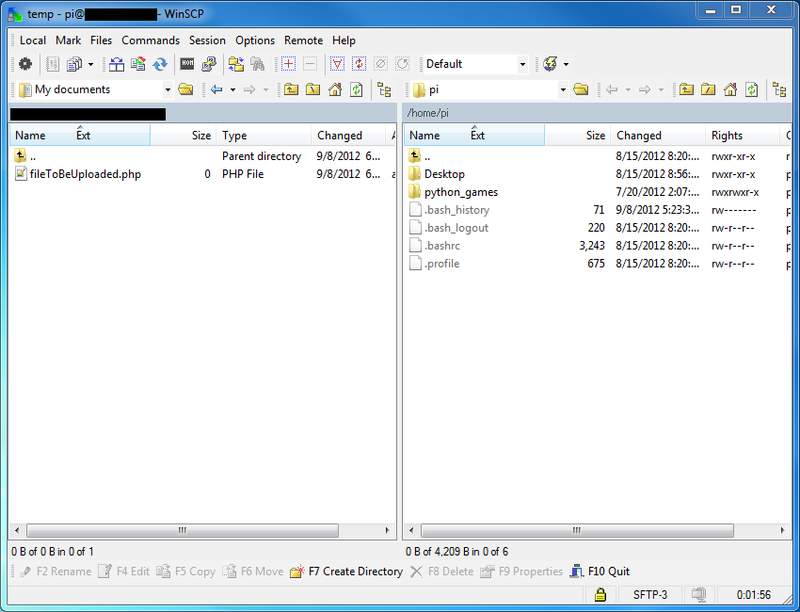 Read past the break to have a look at using WinSCP to transfer files.